I have a confession to make…I really don’t like LOST IN TRANSLATION. Sofia Coppola’s critically applauded, Oscar-winning mediation on life, love and other stuff not only didn’t connect with me on an emotional, intellectual, or philosophical level, but I often found it offensive and rage-inducing. Now, before anyone bites my head off, I’m not denying that Bill Murray and Scarlett Johansson are both excellent, probably the best either of them ever have been, and their characters’ relationship is unusual and (mostly) endearing. I’ll also concede that the film looks lovely, it’s beautifully filmed and Coppola clearly has a meticulous eye for detail. But beyond that, everything else just rubs me up the wrong way. I find much of the film tortuously slow and incredibly dull. Now I’m all for filmmakers taking their time in order to really engross an audience in a world, to get to the heart of complex characters, but too many scenes in Lost in Translation go nowhere, and don’t really advance anything. I guess we’re just being given more time to admire how Coppola frames her shots. An element a few critics have picked up on, and I’ll admit it’s the main reason for my hatred, is Coppola’s criminal cultural insensitivity. I’d hesitate to call her views outright racist, but they’re certainly patronising towards the Japanese. Coppola’s view of Japan is that of an American (much like Murray’s character) ignorant of another culture and not making any real effort to understand it. By depicting on film a steady procession of carefully cherry-picked Japanese “oddities” and stereotypes – their high-tech bathrooms, their unfailing politeness, massages, karaoke, their traditions and rituals of day-to-day life – it seems as though one of Coppola’s main objectives is to say “hey, come laugh at the silly Japanese, they’re not like Americans at all”. A recurring, and increasingly painful joke in the film is the mockery of the Japanese speech pattern which replaces the letter “r” with the letter “l”, often making their attempts at speaking English sound comical to Western ears. This gag is barely funny the first time it is used, but it is then reprised four or five more times throughout the film. 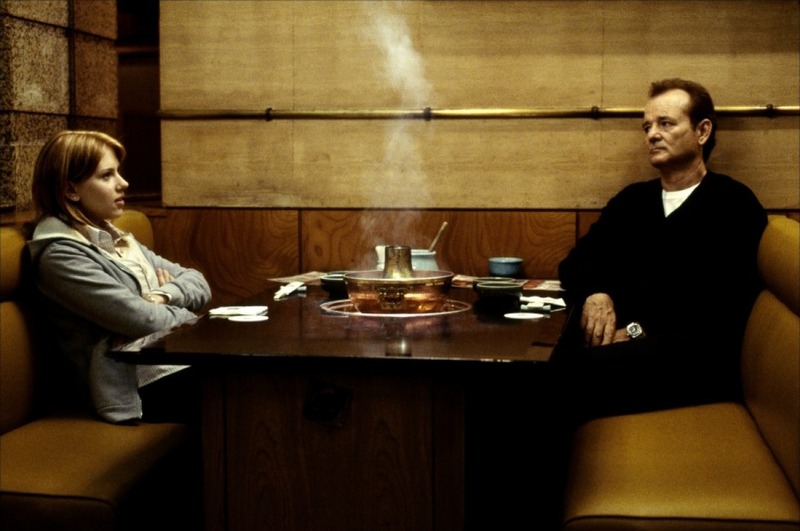 In one of the key “comedy” scenes, Murray’s character struggles to comprehend the instructions of a heavily accented Japanese director during a photo shoot, and he decides the best course towards understanding is mocking mimicry of the poor man’s voice each time he speaks. I know Murray’s character isn’t meant to be the nicest guy in the world, but this gag isn’t even particularly funny, just embarrassing, akin to the lack of logic behind an English-speaking tourist abroad raising his voice and speaking slowly to make themselves understood to non-English speakers. The title annoys me too. Yes, speaking poetically, it’s the story of two souls “lost” in their own lives, drifting from place-to-place and forever struggling to make and maintain, or “translate” any real human connection, until they meet each other. But the film’s setting, Tokyo, also brings into the common cultural meaning of the term – an unintended misunderstanding coming out of using two different languages. But Bill Murray’s struggling actor Bob Harris can’t have lost anything in translation as he mopes around the Japanese capital, as “lost” implies an unintended accident, human error. Bob makes no effort to understand Japanese culture, and remains steadfastly, wilfully ignorant. Put aside the romance, the poetry. In the age of globalisation, on a cultural level, Lost in Translation should be called “The American Who’s Too Lazy to Understand”. This entry was posted in Film, Film Feature and tagged Bill Murray, Drama, Film, Lost in Translation, Movies, Romance, Scarlett Johansson, Sofia Coppola. Bookmark the permalink.